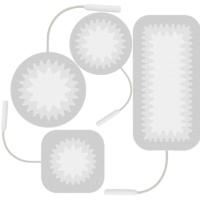 The Starburst stimulating electrode design incorporates a patented multi-layer gradient pattern providing the most advanced current distribution system available. This unique gradient pattern is made of pure silver, known as a superior conductive material and optimal for stimulating electrodes. The new aloe vera hydrogel has passed rigorous hypoallergenicity testing and provides superior adhesion after multiple uses. 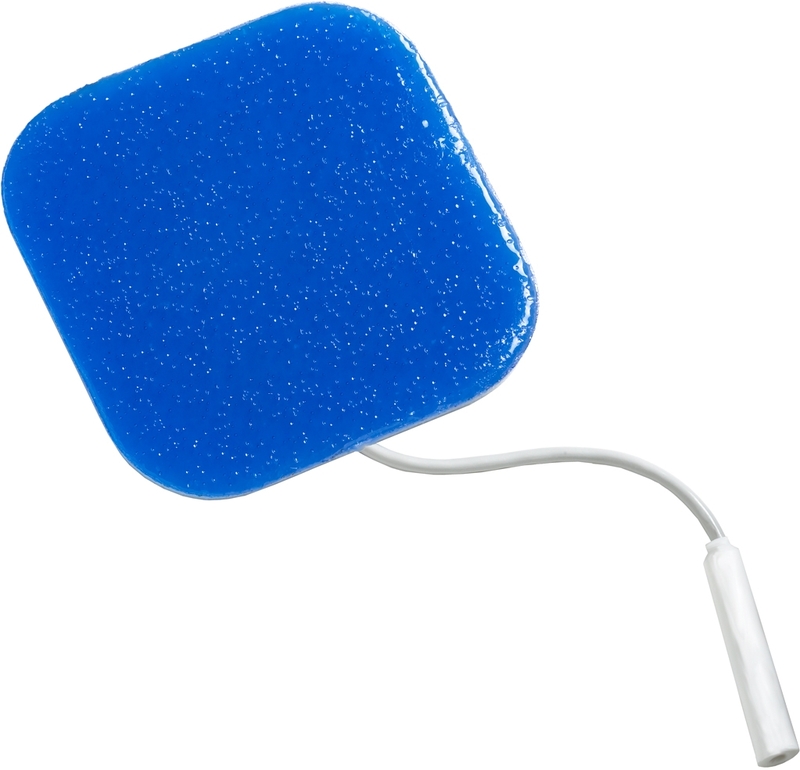 REF EP85360 617SB 2" x 4"
Superior Silver™ stimulating electrodes with double layer of polyhesive skin friendly blue gel. REF EP85215 697SS 1.75" x 3.75"